Make your Minecraft character move her hips a little more. 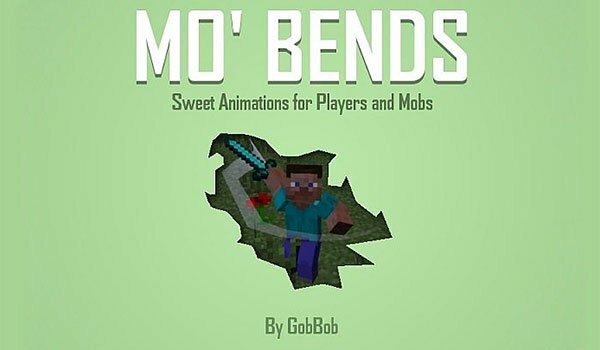 Mo ‘Bends 1.7.2 and 1.7.10 is a mod that adds new animations for your Minecraft characters, trying to improve the static and almost null character movements that exist in the game. So in routine moments of our games, your character will have a more dynamic movements. We will see the new animations performing actions like walking, running, jumping, swimming, stoop, punching, even in falls and when using sword and bow. In fact, not only the main character will have new animations, but some mobs. How to install Mo’ Bends Mod for Minecraft 1.7.2 and 1.7.10? Double-click the downloaded file to run Forge installer. New animations for your character in Minecraft!